Want To Use Fireworks This New Year’s Eve in Hawaii? Read On! The LAST thing you want to be doing on New Year’s Eve in Hawaii is explaining to a police officer why you illegally shot-off fireworks. So, here’s a look at some of the rules and regulations surrounding fireworks in Hawaii and some tips on where to buy all the pyrotechnics you need to ring in 2016! The first rule is this: You are only allowed to purchase and use firecrackers. All other fireworks are illegal for consumer use. Hawaii Island, Maui, and Kauai counties allow novelty fireworks, including sparklers, snakes, fountains and small cylindrical or cone fountains. The sale of firecrackers in the City and County of Honolulu begins on Dec. 26, 2015, and ends at 12 midnight on Dec. 31, 2015. 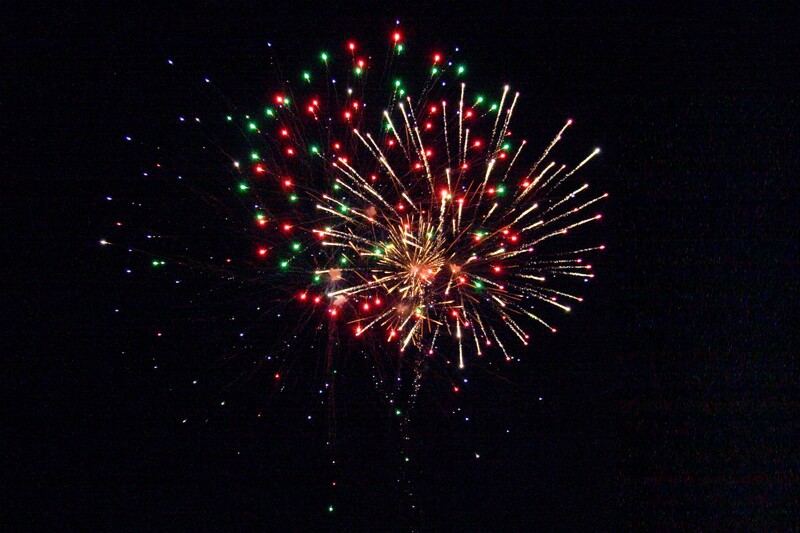 On Oahu, firecrackers may be set off, ignited, or discharged from 9 p.m. on Dec. 31, 2015, until 1 a.m. on Jan. 1, 2016. A permit is required to purchase firecrackers on Oahu. 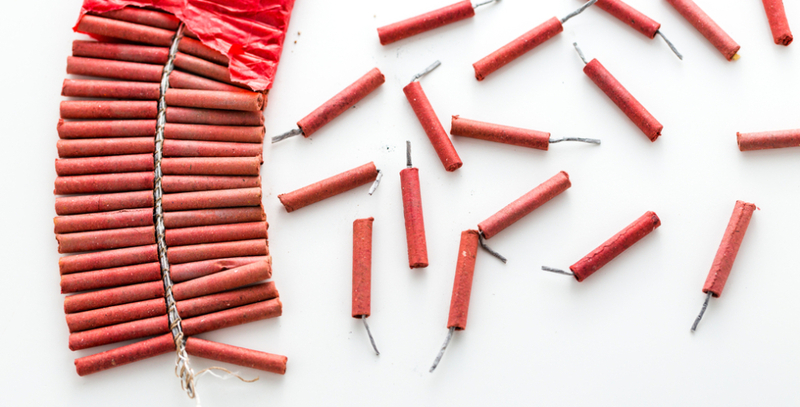 Firecrackers must be purchased from licensed retailers no more than five days prior to its use. Retail licenses shall be prominently displayed in public view and secured at the location for which the license has been issued. Licensed retailers shall not sell more than 5,000 individual firecrackers per permit. Honolulu’s fireworks ordinance requires that firecracker permits be obtained no less than 10 days before they are used. That deadline was Dec. 21. The Honolulu Fire Department says 13,81 permits were sold this year, compared to 11,144 in 2014 and 10,922 in 2013. According to Chapter 132D, HRS, the use of aerial fireworks is prohibited unless the HFD’s Fire Chief issues a display permit. On Maui, the Big Island, and Kauai, you are allowed to use parklers, snakes, fountains and small cylindrical or cone fountains without a permit. Those on Kauai have until Thursday, Dec. 31, to obtain a permit. Applications are available at Kauai Fire Department headquarters located in the Piikoi building of the Lihue Civic Center, 4444 Rice St., Ste. 315, on weekdays from 8 a.m.-3:30 p.m. Applicants must be at least 18 years old. The cost of a permit is $25 and it can be used to purchase up to 5,000 non-aerial individual firecracker units. There is no limit on the number of permits an individual can obtain. Only licensed pyro-technicians with proper permits are authorized to ignite aerial fireworks. Although the following items are classified as fireworks, no permit is required to purchase them: snakes; sparklers; fountains; cylindrical or cone fountains; whistles; toy smoke devices; wheels and ground spinners; and other similar products. Fireworks may only be ignited on private property from 9 p.m. on Dec. 31 to 1 a.m. on Jan. 1. The Kauai Fire Department reminds the public that it illegal to set off fireworks on public property, including streets, sidewalks or parks. Removing the powder or pyrotechnic contents from any firework is prohibited. Fireworks permits are required to purchase the firecracker type of fireworks and are good for 5,000 firecrackers. Permit applicants must be 18 years or older and show proof of age at the time of permit processing. There is no limit to the number of permits a person may purchase and the cost of each permit is $25 payable by check/money order to the County of Maui. Cash will be accepted at the Fire Prevention Bureau and Pine Isle Market only. Novelty fireworks such as sparklers, snakes, fountains and cylindrical or cone fountains which emit effects not higher than 12 feet off the ground do not require permits. Weekdays: December 21-31, 2015, during normal business hours, 8 a.m.-4 p.m.
December 26-31, 2015: The first day of fireworks sales is Dec. 26, 2015. Fireworks on New Year's Eve in Hawaii has a long-standing tradition. You can avoid the hassle of buying your own fireworks by attending one of the many fireworks displays around the islands. Of course, the safest (and easiest) way to enjoy fireworks this New Year’s Eve in Hawaii is to attend one of the many fireworks displays around the state. Many of the state’s hotels are sponsoring events, such as the Mauna Lani Bay Hotel and Bungalows. Just ask your travel professional at Hawaii Aloha Travel which hotels are best for viewing fireworks, and you may still be able to score a great deal on a room! Fireworks are an especially important part of Hawaii because of our large Chinese population. Chinese tradition dictates that New Year’s fireworks scare away evil spirits and usher-in good luck for the person releasing them. So, consider your options carefully when purchasing fireworks for your New Year’s Eve in Hawaii, and make sure you follow the rules!